Gain access to the instant Game Collection where you’ll be offered new games every month. Get exclusive discounts on full games and add on content and sometimes even bigger discounts on already in sale items. Get early, and in some cases exclusive, access to Full Games, Demo’s and BETA Trials as a PlayStation Plus Member. 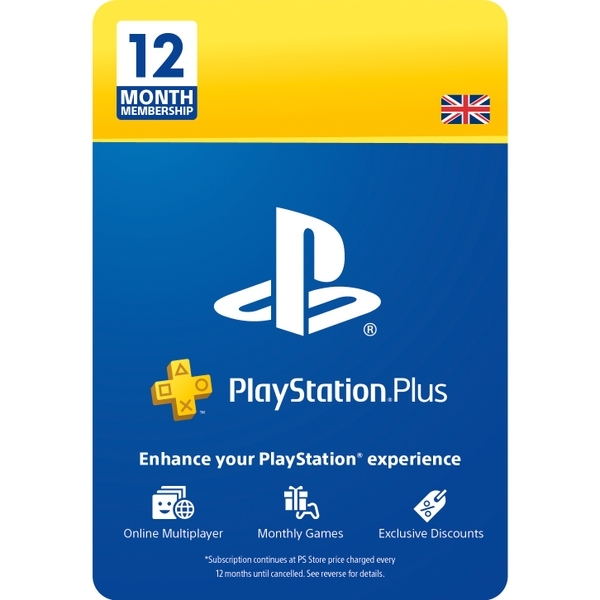 PlayStation Plus is a subscription service from PlayStation Network that gives you access to a whole host of amazing features. From ludicrously great games, to exclusive new game trials, to online storage, themes and avatars. Join the thousands of other people playing, personalising and synchronising with PlayStation Plus. 1. Create your own Sony Entertainment Network account at eu.playstation.com/registration or sign into your existing account. 2. Go to the PlayStation®Store. 3. Select the "Redeem Codes" option. 4. Enter the 12 digit voucher code and then select "Continue". 5. Follow the on-screen instructions to redeem your voucher code. Please visit http://www.playstation.com/legal/ for full terms and conditions.